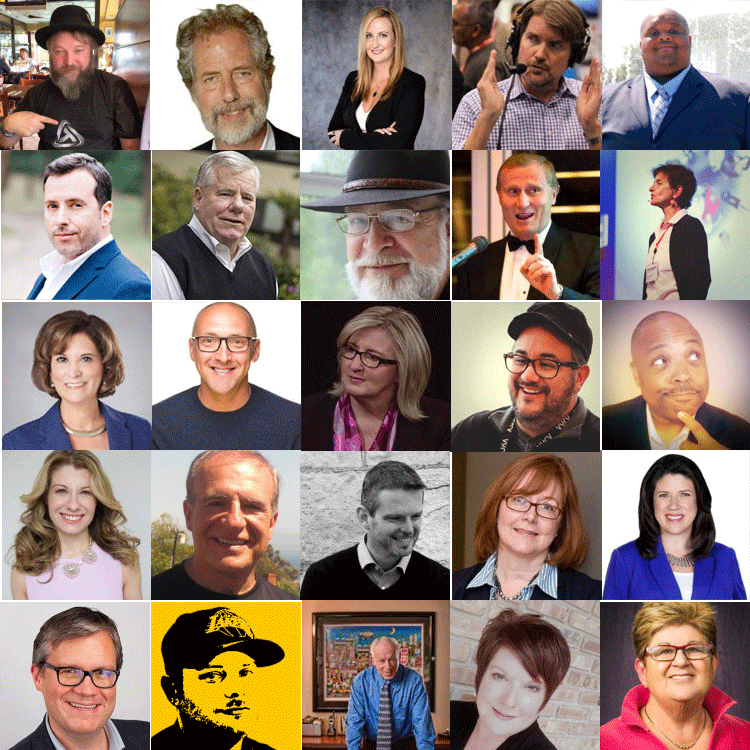 Are you following the top HR and recruitment thought leaders in 2019? Recruitment industry has seen dynamic changes in the last few years, recruitment professionals adopting innovative recruitment strategies and methods to ensure successful sourcing and hiring. If you are looking for new inputs in recruitment, leadership, hiring, human resource, staffing and HR technology, then following the top HR and recruitment thought leaders is a must to keep yourself updated with the latest trends and technologies. The recruitment influencers frequently share their thoughts, ideas, experiences and knowledge online. To help you keep up with the latest trends in recruitment and talent acquisition, we’ve compiled a list of Recruitment thought leaders. By following them, recruiters can adopt what’s relevant and stay on top of industry trends to grow their careers and their business. After all to get the best you need to follow the best. A comprehensive list of top recruitment experts presented by Interview Mocha, an online assessment software. Before starting the article, I suggest you watch the video of Steve Jobs on hiring. 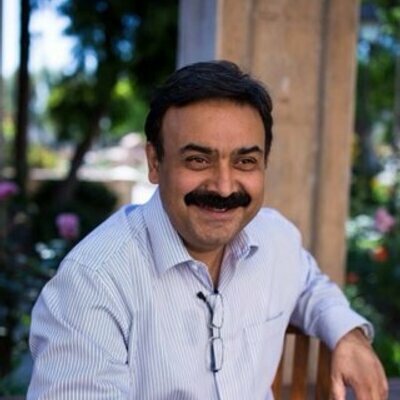 He is not a writer, blogger or vlogger but yes, an amazing and unconventional thought leader in many respects, certainly one of my favourite hr leaders. Steve Jobs was passionate about hiring the best people. And he took it seriously; it wasn’t something to be rushed. He also gives sound reasoning to the fact that spending time hiring good people is the best investment of your time. No doubt, Apple does the finest recruitment. Below is the list of human resource experts you must follow when it comes to the recruitment world. 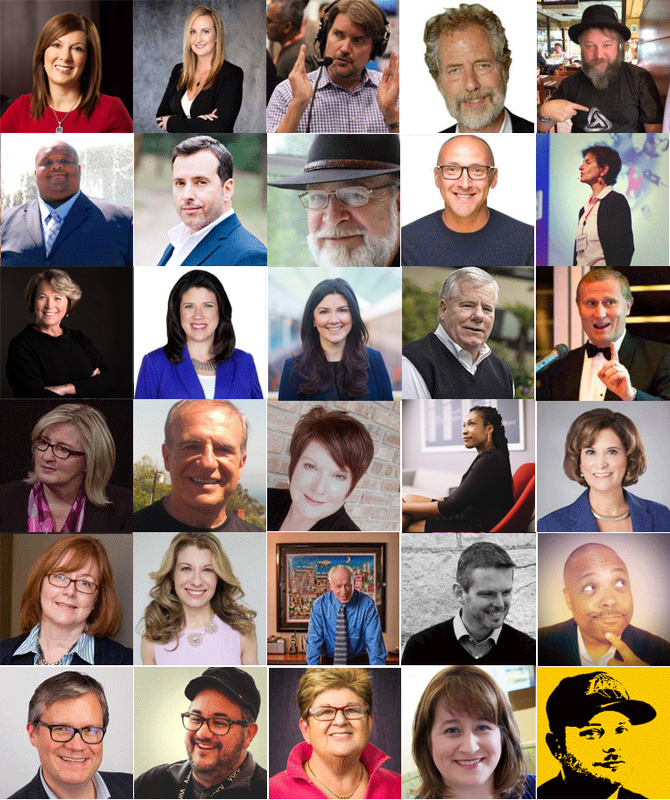 You can call them Thought Leaders, HR Influencers or Bloggers because they are all in one. Do have a look at Lou’s articles. They are very informative. He is a popular blogger for Forbes.com. 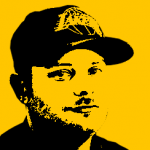 Josh provides insights into hiring, recruiting and talent management through his blogs. Make sure you read Josh's articles. Don't miss them! 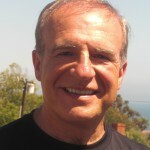 Greg is a global recruiter with 35 years experience owning, managing and growing staffing businesses across the world. 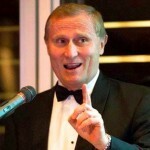 He is voted as the most influential recruiter in Australia in the past 60 years. He writes simply the best newsletter and articles. 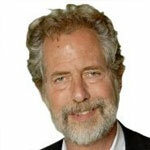 Have a look at Greg's articles on LinkedIn and on Greg Savage, The Savage Truth. 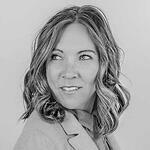 Meghan M. Biro is a globally recognized Talent Management and HR Tech brand strategist, analyst, digital catalyst, author, and speaker. Meghan is a regular contributor at Forbes, Huffington Post, Entrepreneur and several other media outlets. Have a look at Meghan's recruitment articles. 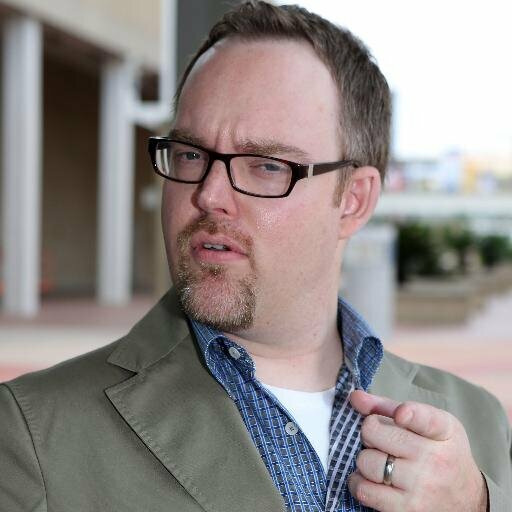 Matt Charney provides candid insights and extensively researched articles on topics including social media, HRtechnology, and recruitment. 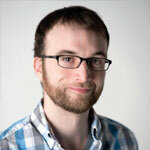 Have a look at some of his killer content about recruitment articles at Snark Attack by Matt. Kris believes that the key to great business results is to get great people, then do cool stuff to maximize their motivation, performance and effectiveness once you have them in the door. 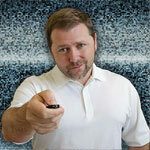 He produces provocative, entertaining, and, most important, knowledgeable posts on recruiting. 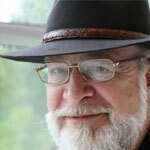 Read his popular employment blogs on Fistful of Talent and the HR Capitalist. 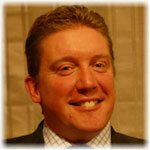 Stephen is actively involved in the professional recruitment sector since 1987. 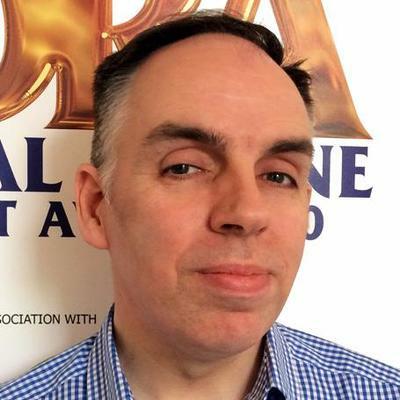 Stephen’s is the founder of PCEvaluate and the National Online Recruitment Awards to name a few! So it comes as no surprise that he’s one of the stars of recruitment world. 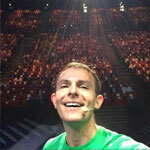 Don't miss Stephan's recruitment blogs at Ayeright. Make sure you have a look at Jennifer's articles on Unbridled Talent. Trish specializes in recruiting, HR technology, talent management, social media and lot more to count on. 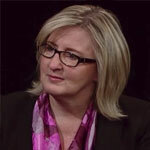 Trish McFarlane focuses on workplace topics and issues like talent management, recruiting, HR technology. 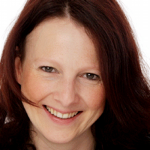 Have a look at Trish's podcasts and articles on HR RingLeader. Steve is award-winning Human Resources blogger. He keeps the recruitment world updated about Talent Management, and Recruiting and workplace technology. I am sure you don't want to miss Steve's article. Go check them out - recruitment articles by Steve. Tim’s experience includes a fairly extensive background in recruiting & selection, mixed with some solid experience within the HR generalist world including heavy employee relations, OD, and training. 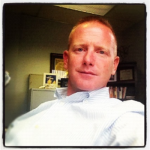 Tim provides most insightful updates on recruiting through his blog The Tim Sackett Project. Steckerl has eighteen years of sourcing and recruiting experience. Shally explores topics like recruitment best practices, improving recruiting processes and how to become better at making judgments about talent through his Sourcing Institute’s blogs. Read some of Shally's articles here. 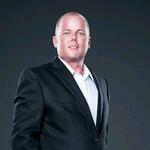 Bryan Chaney is a global talent sourcing and attraction strategist. 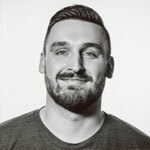 Bryan explores various topics such as creating candidate pipelines, utilizing social engagement, thinking creatively to be a more effective recruiter and has various publications. Have a look at Bryan articles. 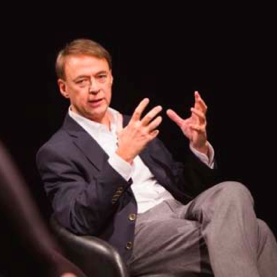 George writes regularly on the web about innovation, talent and recruiting and also explores the frontiers of leadership, talent acquisition, and management strategy weaving together big ideas. Find out George’s articles here. Robin is an excellent resource in all areas related to human resources. 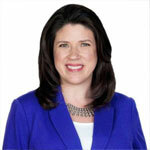 She provides excellent information, ideas, and solutions on recruiting and hiring strategies. 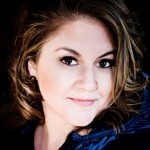 She is Writer/Contributor at RobinSchooling.com, Recruiting Daily, SHRM, HR Examiner, and a variety of other sites. Read her latest blogs RobinSchooling.com. Over the past decade, Jim Stroud has built an expertise in social media recruiting. Stroud frequently updates with the social recruiting scene, and relevant news articles, blog posts and links that prove valuable. You can have a look Jim’s articles here. Andy has over 20 years experience working in the recruitment industry as well as almost 7 years hands-on social media experience. Andy is the author of Sirona Consulting, where he gives practical advice for recruiters, industry insights, better social media usage, and instruction. Check out some latest articles by Andy at Sirona Consulting. Todd is very widely quoted and interviewed on recruiting, employment and job market issues. 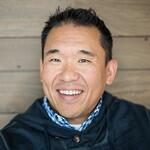 He has named one of Seed's "top 50 HR and Recruitment Influencers, 2014." Todd is a terrific and focused writer. He writes excellent articles about recruitment on ERE Media. 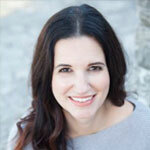 Katrina Collier, founder of The Searchologist, is a candidate engagement author and speaker. Sourcers and recruiters don’t have an issue finding people, they have an issue evoking a response! Her book, The Robot-Proof Recruiter, and the keynotes she delivers, inspire those in recruitment to change their mindset, #BeHuman, and drastically improve candidate engagement and response rates. 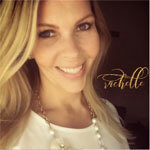 She also co-hosts The #SocialRecruiting Show podcast with Audra Knight. Louise specializes in Recruitment research, psychometric analysis, writing for recruitment publication, networking and consulting. Louise always has one finger on the pulse of the recruitment industry and is often two steps ahead. Make sure you read Louise's articles because she is always two steps ahead when it comes to recruitment. 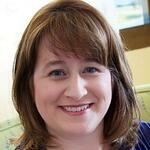 Jody is a frequent contributor to ERE Media where she writes about Social Recruiting. She likes to engage with HR professionals and corporate teams on how to build and promote employer brands and implement best-practice talent acquisition strategies across all media and platforms. Keep yourself updated with her brilliant blogs at ERE Media. Mitch is a Recruitment & Resourcing expert - especially skilled in helping SME's solve business critical hiring issues. Mitch provides insights of recruitment, candidate selection, recruitment communications, recruitment advertising. See some of his articles at Fast-Track Recruitment. Jeff works with organizations to integrate and leverage social media and technology into HR and Recruitment practices to create and drive unparalleled business value.He has unwavering passion and enthusiasm for human resources, recruiting and technology. Check out his some of Jeff's recruitment articles here. Bill is not only passionate about sharing his ideas online but also changed recruiting conferences with his amazing TRU unconference concept. He has a simple vision - to make recruitment better for everyone. He writes about Social Recruiting Integration and Infrastructure, Recruiting Technology, and Recruitment Marketing. He blogs regularly on The Recruiting Unblog. Go check his articles out. Mervyn spent 20 years of his career as a recruiter, then worked for a well-known job board. Now he is a Blogger and speaker on Social Media, recruitment, and HR. 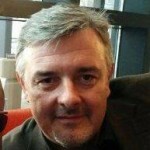 Mervyn has an immense knowledge of the UK recruitment market and shares that knowledge through his blogs. Have a look at some of his recruitment articles here. Laurie Ruettimann is a social media guru. 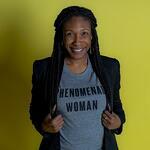 She is a well-respected speaker, blogger, consultant, marketer, writer, and business professional. 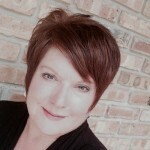 Find her latest recruitment articles at Laurie Ruettimann. John is a recognized thought leader in the recruitment and HR communities, particularly in the areas of multi-generational recruitment and technology in the workplace. John provides insights particularly in the areas of multi-generational recruitment and technology in the workplace. 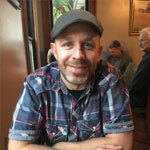 Check out John's insights on recruitment at HR Examiner. 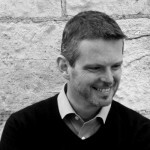 Over the last sixteen years, Matt has helped numerous employers connect to the best talent, improving ROI and drive value via digital, social and mobile recruitment marketing strategies and techniques. Matt has a weekly podcast dedicated to innovation and futurology in recruitment and HR. Check Matt’s podcast here. Rob is one of the few thought leaders within the Talent Acquisition community who combines theoretical, analytical and cognitive thinking into real life solutions. He has a passion for connecting talent leaders with each other on best practices and business talent trends that help advance the profession. Principal Advisor and Founder of McINTOSH & Co.
Stephen has over 15 years of experience in the recruitment sector. 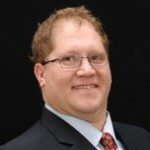 He has been a development specialist for over a decade and he enjoys his training, coaching and consulting work. 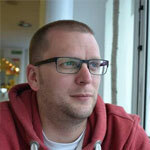 See Stephen's latest blogs at Edenchanges. An analyst specializing in talent acquisition, Kyle keeps tabs on key practices in sourcing, recruiting, assessing, hiring and retention strategies and technologies. Kyle has spent the last several years offering a fresh take on the role of technology as part of an integrated talent strategy and focuses on providing actionable insights to keep leading organizations a step ahead. Get actionable insights on recruitment through Kyle articles. Nisha brings to you the latest trends in recruitment and HR industry. She provides excellent up-to-date information for HR professionals, managers, and leaders through a variety of channels including her blog Your HR Buddy. 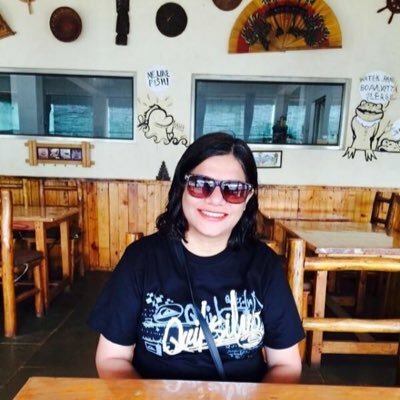 Read Nisha's latest articles on Your HR Buddy. He is a thought leader in recruitment whose word is held in high across the HR function globally. Have a look at some of the recruitment articles by Gautam. 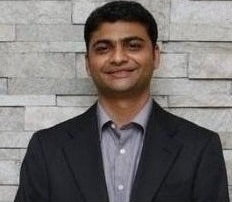 Abhijit is an HR leader with global experience in Talent Development with demonstrated ability to deliver business outcomes. He is an active blogger, speaker at TEDx, INK and keynote speaker for industry events and corporates. 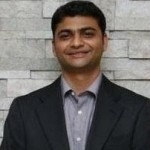 Abhijit keeps you updated with recruiting and hiring trends through his website. 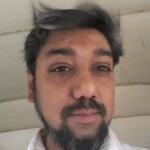 Have a look at Abhijit blogs. 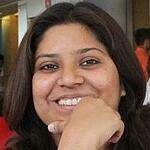 Kunjal Kamdar has been involved in Sourcing and Recruitment for over a decade. He has done his PGCHRM from XLRI Jamshedpur. Kunjal enjoys leveraging Social Media to attract talent and work on employer branding activities. Blogging is his real passion, and he in turn loves sharing his passion with others in the HR community. He is the Author of 90000+ hits blog, Rambling Recruiter’s Blog. 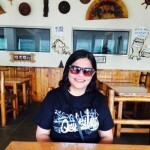 You can find Ruchi's blogs here. 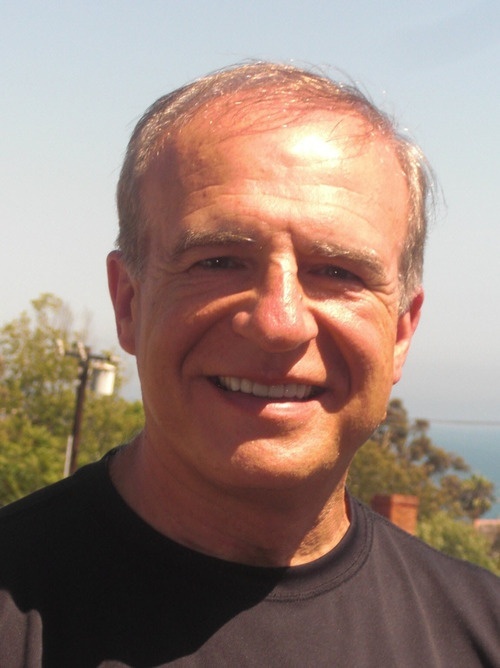 With over 30 years of research and consulting experience under his belt, Mel Kleiman is known for helping businesses improve their employee hiring process. 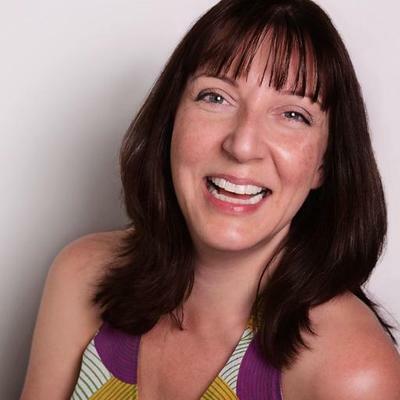 Apart from being one of the top HR influencers, Mel has also authored five books including the best-selling Hire Tough, Manage Easy. Mel heads Humetrics, which has been helping employers reinvent the way they recruit. 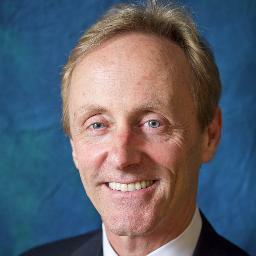 Dr. John Sullivan is a world-renowned HR thought-leader specializing in strategic talent management solution. Fast Company called him the “Michael Jordan of Hiring”, Staffing.org considers him the “Father of HR Metrics”, and SHRM called him “One of the industry’s most respected strategists”. With a whopping 900 articles and 10 books covering all areas of talent management, Dr John Sullivan is a sought-after keynote speaker at prominent HR events. 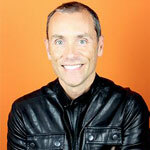 Craig Fisher is one of the most influential talent leaders around the world today. A pioneer in digital branding, his methods have been lapped up as best practices by companies like Linkedin, Zapoos, YUM! Brands, Hootsuite, and much more. 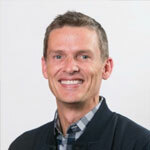 Craig has authored Inbound Recruiting and also has been a popular keynote speaker at tech, social media, HR/recruiting, and sales conferences worldwide. Craig is also credited with creating the first Twitter chat for recruiters and partnered in the first Linkedin certified training company in North America. He regularly writes his blogs on his website. 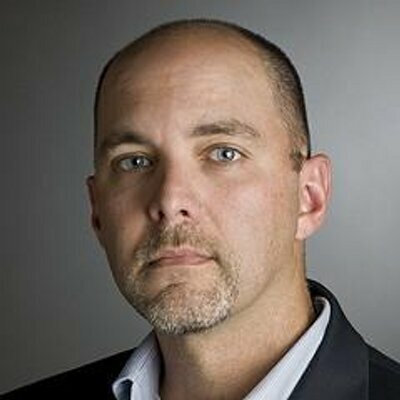 Jason Buss is a recognized recruitment expert with over 22 years of experience in identifying, recruiting and hiring high-performing teams. Jason has also authored and published content in, and has been quoted by The Huffington Post, Fast Company, Bloomberg, MarketWatch, and Society for Human Resource Management, Corporate Executive Board and more. 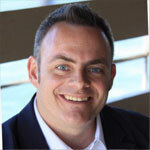 Jason is also the creator and editor of Talent HQ and founder of Recruiters Network. Talking about talent leaders, Charlie Judy has had over two decades of experience as an HR executive with some of the world’s most prominent companies. An accomplished blogger, Charlie, is much sought after expert on simplifying Human Resources. He is the founder of WorkXo, an organization aimed at helping businesses minimize over-engineering Human Resources and start re-humanizing them. 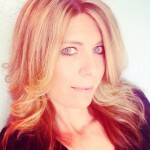 Sharlyn Lauby leads the hugely successful HRBartender blog that is among the most followed HR blogs in the world. Riding high on a rich experience of 20 + years, Sharlyn has earned a reputation for bringing business solutions to reality. With an in-depth knowledge of workplace social media, strategic planning, and recruitment, Sharlyn is one of the most sought-after HR experts in the world. Irina Shamaeva is a Chief Sourcer at Brain Gain Recruiting that helps companies worldwide with innovative and clever ways of recruiting. Irina has created successful recruiting communities like the Boolean Strings Linkedin group and the Boolean Strings Ning Network, totaling to more than 30K members from 75+ countries worldwide. Her blog Boolean Strings is much appreciated and followed by professionals from the HR industry. This dashing talent expert has founded the People Sourcing Certification Program that is quickly becoming a rage all over the world. Jeanne Meister is a leading name for Human resource influencers around the world. 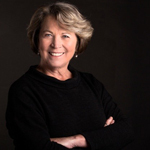 Being a recipient of the Distinguished Contribution in Workplace Learning Award by the ATD, Jeanne is passionate about helping organizations attract, develop, and retain employees in a rapidly changing workplace environment. She is the founding partner of Future Workplace, an HR advisory and research firm. Jeanne has authored four books including The Future Workplace Experience which has bagged the 2017 Axiom Business Book Award in Silver category for Best Business Book for Human Resource Professionals and has been highlighted in many prominent magazines as well. 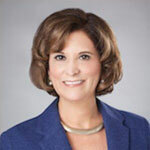 Glassdoor has recognized her efforts by naming Jeanne Meister in the list of top 50 influencers in Corporate Human Resources and Recruiting. A multi-faceted entrepreneur and diversity leader, Shanna Landolt, is a name to reckon with in the HR world. A career and Linkedin expert, Shanna Landolt has featured all across North America on prime media channels like NBC, ABC, CBS, FOX, CityTV and, CTV. A leading recruiter in pharmaceutical and biotechnology sector, Shanna Landolt has partnered top organizations like Allergan, Ariad, Alphora and the likes as their recruitment consultant. Amybeth Quinn has been in the HR field from 2002. 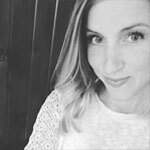 Starting her foothold as an Internet researcher, Amybeth has honed her skills in networking, information retrieval methods, company profiling, training, and various strategic sourcing initiatives. Founder of Acacia HR Solutions , Sabrina Baker is an inspiration to many. One of the most dynamic recruitment leaders, Sabrina has carved a niche for herself by branching out on her own after 11 years of dedicated service in the corporate world. An avid SHRM volunteer, Sabrina is an expert in helping small-scale businesses refine their HR and recruiting strategy to fit their budget and resources. 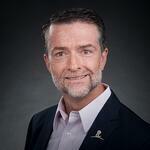 Jeremy Roberts is a notable keynote speaker specializing in corporate talent acquisition. Jeremy has had considerable experience on sharing his views as a keynote speaker at various platforms. Jeremy is currently focusing on helping talent acquisition practitioners’ use machine learning and artificial intelligence to set up a more efficient recruitment process. 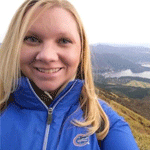 Jackye Clayton is a top notch content editor with recruiting as one of the main areas of expertise. 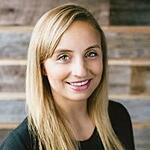 She is a team member at Recruiting Daily that provides insights on the latest HR technology and recruiting tools. Red Branch Media a full-service marketing and advertising agency with a focus on HR. Maren has over 15 years of experience in HR and Recruitment space and is a popular thought leader in global recruitment and talent space. 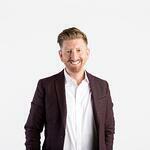 Ben Slater is the VP, Growth, Beamery, which is a recruiting CRM and marketing software. 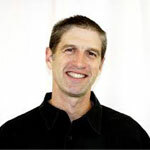 Ben is an advocate of using technology in HR and finding innovative ways for Employee engagement and Branding platform. 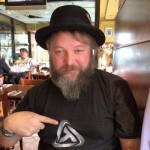 He regularly writes for HRtechweekly about the ever changing HR scenario. Tony Restell is a social media marketing enthusiast passionate about helping organizations create a brand value that can attract the best talents around. Recruitment teams across the globe have taken help from Tony to build the perfect social media image that helps them to source the best talents. 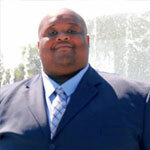 He has written numerous blogs that will help in leveraging social media for optimum recruitment. 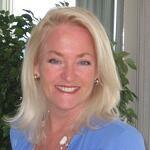 Stacy Donovan Zapar is one of the leading recruitment experts around the globe. An absolute veteran in the field with a career spanning 20 years, she has dabbled in various roles like recruiter, recruiting strategist, advisor, and trainer with ease. Founder of Tenfold, specializing in recruitment consultancy, the agency boasts of world-class employers including TripAdvisor, Zappos, Netflix, Amazon, Walmart, Booking.com to name a few. She has been recognized as SHRM’s 2015 Trendsetter of the Year in Talent Acquisition besides being a keynote speaker on many of the prominent sourcing and Human Resources conferences around the world. 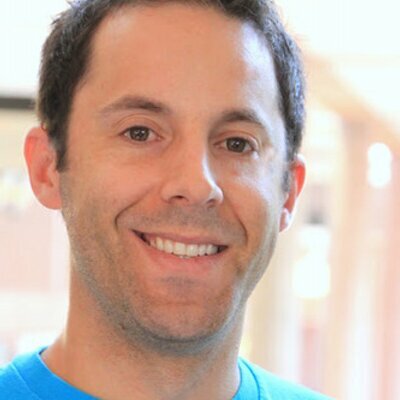 Steve Levy is one of the names to reckon with for HR influencers. A charming speaker, Steve has had audiences glued to him at SourceCon, September & March 2017, Anaheim, Recruiters Hub Conference, October 2016, and RecruitDC, November 2016. Steve is a world class recruiting leader and employee brander who has built and led numerous technical talent communities. You can follow his blog to know more. Johnny Campbell is a Human resource expert providing guidance to recruiters and HR professionals to hire, develop, and retain the best talents. With his company, Socialtalent.net, Johnny has already transformed over 15000 recruiters and inside sales professionals from companies like Cisco, Intel, GE, Manpower, Ranstaad, and Pontoon into Ninjas! Socialtalent is currently being used in over 90 countries by more than 1000 companies. 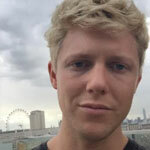 Johnny is also a successful blogger with his blogs being read by almost 100,000 recruiters and salespeople a week. 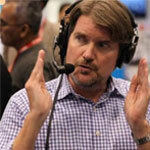 Joe Burridge is a senior recruiter at Electronic Arts( EA). He has written quite a number of posts on recruitment which are worth a read. 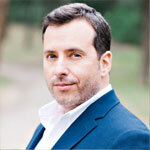 The president of RecruitingDaily, William Tincup is one of the most prolific talent leaders around. Having written over 200 HR articles, spoken at over 150 HR recruiting conferences, and over 1000 HR podcasts, William is your go to person for advise on technology and HR. With over 18 years of experience with Human Resource and Talent Acquisition industry, Kevin Grossman is among the top HR leaders globally. A certified Talent Acquisition Strategist (TAS) and Human Capital Strategist (HCS) by HCI, his podcasts provide valuable insights into the evolving world of HR and technology. He has also written blogs on human resources, talent management and technology. 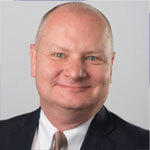 One of the very few human resources executive in the healthcare industry, Jay Kuhns has been a pioneer in adapting social and digital tools into Human Resources functions at the hospital where he served as the Vice President of Human Resources. What Jay achieved with the hospital was nothing short of revolutionary, to say the least making him a sought-after diversity leader in HR field. Jay has written informative blogs on his website which have a tremendous following among HR professionals. 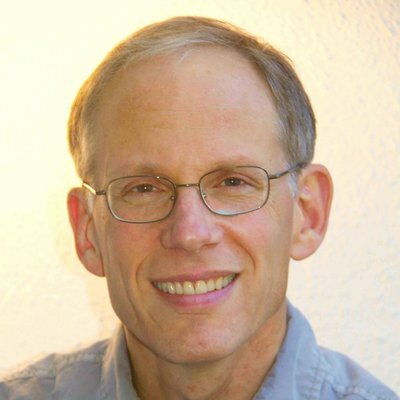 Among the top HR influencers, Bill Kutik specializes in HR technology. The “Firing Line with Bill Kutik” is a much followed monthly HD broadcast quality videos with leading HR experts and executives. 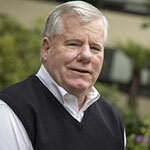 Besides this Bill Kutik is also credited for building and managing the famous HR Tech. His articles are worth reading for their insights about technology in Human Resources. Will Staney is an influential voice in the HR and recruiting space. Will has led Global Talent Acquisition at popular startups Twilio and Glassdoor besides being in recruiting leadership roles at enterprise softwares like VMware, SuccessFactors, and SAP. He has led successful strategic programs including employer branding, sourcing strategy, recruiting operations, and systems process design. Currently, Will is the founder of Proactive Talent Strategies which is focused on various aspects of Talent Acquisition, Employer Branding, OnDemand Recruiting, and Training. Founder and CEO of Smart Recruiters , Jerome Ternyck, has reinvented the Applicant Tracking System to provide organizations to hire better and smarter. A perfect combination of recruitment and technology, Jerome Ternyck has certainly made a mark as one of the top HR contributors followed by HR professionals worldwide. Geroge Larocque is your go to guy for HR related technology and services. A leading HR Tech Analyst and Advisor he has founded HRWINS that has numerous articles on upcoming HR technology, innovations and much more. 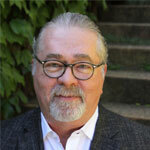 George is an expert on Talent Acquisition, Talent Management, Employee Engagement, Core HR, and more. 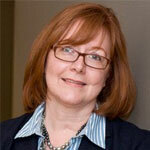 April Eldred is a leading name among HR leaders of the world. Being a seasoned corporate Talent Acquisition Leader, April has helped built high powering teams with her efficient recruiting techniques. 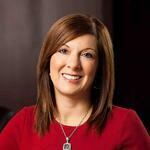 Carrie Corbin is a globally respected name as a recruitment expert. She has pioneered successful and high-performance Talent Acquisition Programs for global fortune 10 companies. 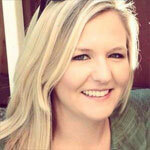 Carrie is known for her unique approach and methodology to solve the innumerable yet common challenges in staffing. Her ideas have also garnered a positive response from several media outlets like Good Morning America, Fox & Friends, and The White House. Carrie has received recognition for “Best Use of Tech by HR Executive Magazine in 2012, and also by Glassdoor as Top Talent Warriors in 2013, and as a Top Recruiting Thought leader in 2015. 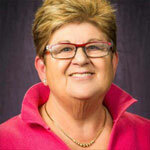 Arie Ball is the VP, Talent Acquisition at Sodexo. 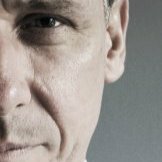 Arie Ball has been a prominent face in the top HR leaders of the world using an efficient recruitment technique to source out the best talents. 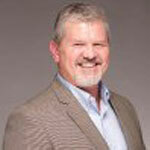 Chris Hoyt is among the top HR influencers of the world with over 20 years of experience in the HR industry. Chris has been working relentlessly to edge out the traditional age-old recruiting practices and get hiring teams to embrace unconventional but result-oriented recruitment strategies to find and nurture the best talents. 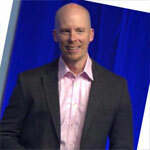 Chris is the co-founder at Careerxroads, a premium talent acquisition community. Besides this, he also regularly writes posts on his company website. 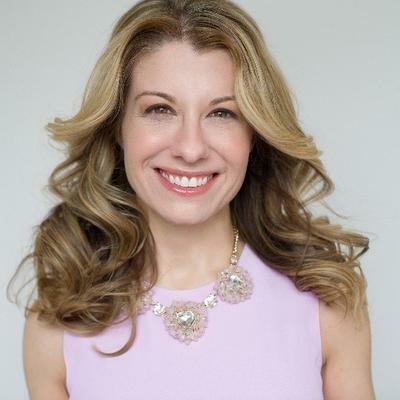 Chrissy Thornhill is primarily an employer branding professional with over 10 years of experience in recruiting, employee engagement, marketing, corporate communications, advertising, and social media. Chrissy has been named by Glassdoor as a Talent Warrior in 2014, recognizing her innovative work in the field of recruiting. 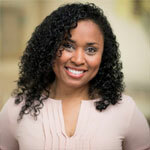 Chrystal Moore has been a Talent Acquisition and Employer Branding Professional for over 15 years. Chrystal believes in taking the innovative and unconventional recruiting approach to find, hire, and develop top talent. A thorough understanding of the talent acquisition process has led to Chrystal being regarded among the best recruitment experts in the world. The Glassdoor talent award winner for 2014, Dustin Carper is a master at creating employment strategies that attract the top talents to your organization. He has been a speaker at conferences outlining the need to have the perfect hiring strategy that will help the businesses in the long run. Though he is now trying his hand at the digital word, his articles are worth a read. Being in the recruiting field for 10 + years, Lars Schmidt is a name to reckon with for modern recruiting. With his company AmplifyTalent, Lars advises organizations on the most progressive recruiting strategies that will bring in the best talent pool to sustain in the long run. You can read their company blogs to get more insight into their work. 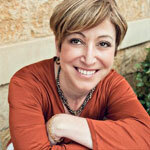 Naomi Bloom is a known name for top HR influencers in the world. Naomi built the only vendor-neutral HRM domain model and application architecture "starter kits." Licensed across the industry from 1995 through 2013, Naomi's IP has been considered to be not only the state-of-the-art but also a primary contributor to many of today's best practices in HRM enterprise software. Being an accomplished keynote speaker, Naomi has shared her thoughts in many HR events and even writes interesting posts in her blog. A proven executive leader and visionary, Yvette Cameron brings over 25 years of experience in designing, developing, communicating and managing global technology solutions. Her work enables companies to align business objectives and workforce initiatives, capitalize on digital transformation and achieve an All In workforce. 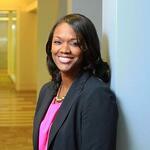 Her blog post shares a lot of insight on Human Capital Management. With over 17 years of experience in the HR industry, Rachelle is looked upon as a prolific Human resource expert. She provides clients with the expertise needed to connect with and match great candidates. 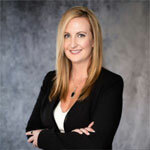 Rachelle also works with clients to enhance the candidate experience, create winning talent acquisition strategies and provide performance management guidance and planning. Madeline’s primary focus over the last 12+ years has been on the talent management market, specializing in talent acquisition. Her work helps companies both validate and reevaluate their strategies and understand the role technology can play in driving business outcomes. She is co-author of Best Practices in Leading a Global Workforce and has been quoted in the Wall Street Journal, The Boston Globe, Yahoo News, and The Financial Times. 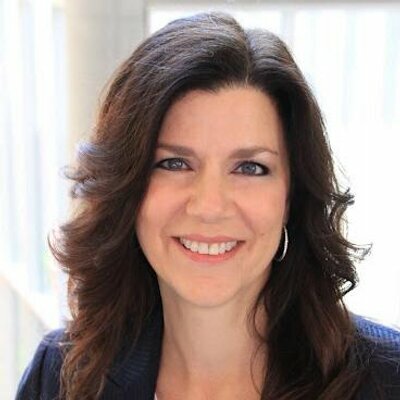 She is a frequent presenter at industry conferences including the HR Technology Conference and Exposition, SHRM, IHRIM, HCI’s Strategic Talent Acquisition conference, GDS International’s HCM Summit, and HRO Today. A passionate recruiter, Gerry finds technology and data as the ultimate tools to an efficient recruiting strategy. CareerXroads, founded in 1995, is a premium, peer-to-peer community of TA Leaders that share unconditionally what keeps them up at night and what they are doing about it now. An HR practitioner for over 25 years, Michael VanDervort specializes in helping companies and clients to build thriving workplaces driven by positive associate relations. 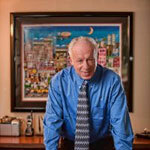 An experienced HR campaigner, Michael Haberman, nicknamed “The HR Compliance Guy”, is an HR expert and consultant who has helped many organizations align their HR policies and recruitment strategies. Michael has been teaching the SHRM certification preparation course for over 15 years and is an active blogger with a massive following. His most popular blogs can be found on his company website. 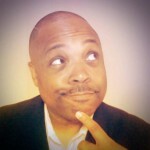 Christopher Fields has been featured in the top 100 most Social Human Resources Experts on Twitter by Huffington Posts. 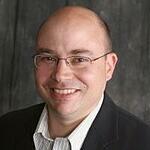 Christopher has a masters in HR and Labor relations with a fair bit of experience as an HR writer and Speaker. Currently, he is an expert resume writer with CareerToolkit naming him as one of the top 28 Resume writers of 2016. He has been quoted and featured in a lot of popular HR blog posts around the world. 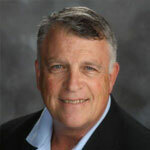 Harry Urschel is a passionate recruitment leader that has helped build successful cultures for high performing teams. Harry is among the 10 most followed recruiters on twitter as well as among the top 100 HR influencers in the world. You can read his blogs that provide a deep understanding of how Human resources work in the simplest of manners. 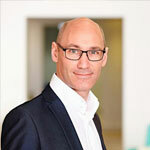 An experienced HR executive, Neil heads the HR at Severn Trent. An expert in compensation and benefits, Neil prides himself on his excellent communication skills to devise innovative hiring strategies to attract top talents. 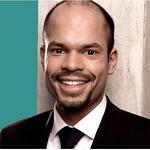 You can read his blogs to have further insights on HR policies and strategies. 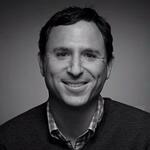 Daniel Chait is CEO & co-founder of Greenhouse, the fastest-growing enterprise Talent Acquisition Suite. Daniel has been a technology entrepreneur in New York for over 20 years. Daniel is a frequent speaker on the topics of recruiting and entrepreneurship at numerous venues including the Wharton Entrepreneurship Conference, Stanford Graduate School of Business, and the University of Michigan Center for Entrepreneurship. She is the former chief talent officer at Netflix and an author of ‘Powerful’, Building a Culture of Freedom and Responsibility. 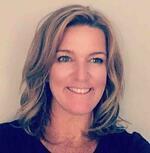 Patty is a coach, speaker and a leader with expertise in recruitment, mentoring and team building. 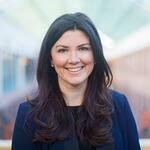 Katie Burke is chief people officer at Hubspot. She is a frequent blogger and speaker on company culture and women's leadership, avid student of management and growth, and employment brand enthusiast who believes people should have jobs they truly love.She's empathetic, transparent, and a truly remarkable leader that you only are fortunate to learn from a few times in your career. Have a look at Katie’s Blogs & articles. Candice Morgan is awarded Fast Company's Most Creative People in Business and The Root's 100 Most Influential African-Americans. She guides business executives to build inclusive talent strategies that drive diverse recruitment, retention and product customization. She is currently Head of Inclusion & Diversity at Pinterest, leading strategy and programs to enhance a diverse and inclusive company. 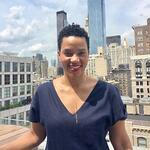 Candice is a speaker and advisor at conferences and events worldwide, a contributor to Harvard Business Review. Ambrosia is keynote speaker, talent leader with the unique ability to profoundly connect at a human level while maintaining a steady gaze on strategic horizons and anticipating trends & change. She has a passionate curiosity for storytellers, social HR, employer branding, disruptive technologies, and entrepreneurial approaches. 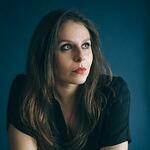 Go through Ambrosia Vertesi’s blogs. 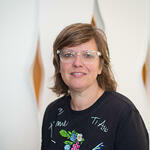 Aline Lerner, CEO of Interviewing.io, has been on every side of the software engineering hiring equation. She is an expert in understanding technical recruiting needs in software engineering and accurately evaluating candidates, and creatively generating leads for our open positions. 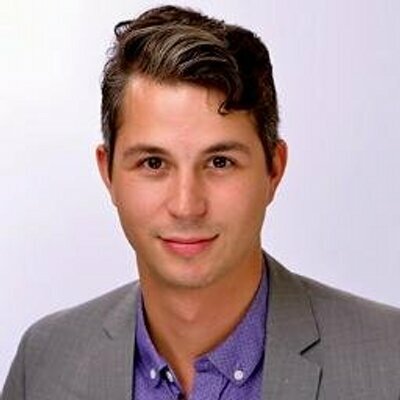 Aline writes for Forbes, Business insider. If you are curious about how you can get better at interviewing for software engineering jobs, then just go to Aline’s blogs. Marie Artim talent acquisition leader responsible for company-wide strategies and directives that involve advertising, marketing, interactive media, training and tools for the nearly 200 enterprise recruiters whose hires include more than 9,000 university graduates each year. Marie also manages strategic partner relationships and collaborates with leadership to develop and implement programs to meet their hiring needs. 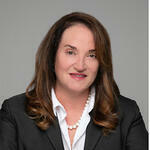 Elaine Orler is a recruiting technology industry thought leader. Elaine is president and founder of the Talent Function Group and chairman of The Talent Board, founding organization of the Candidate Experience Awards. Involved in developing and implementing HR solutions since 1993, she has worked with countless clients on dozens of global talent acquisition and management implementations to help them embrace new technologies aimed at improving internal processes and the candidate experience, a topic on which she’s regularly quoted in The Wall Street Journal. 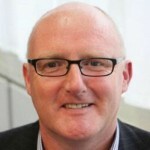 John Leech has been a recognized creative leader in recruitment for over 20 years. John’s experience is vast, ranging from leading Recruitment Marketing at Comcast and Recruiting Operations at FedEx, where he won accolades for both organizations in innovation within Talent Acquisition. He was the VP of recruitment for one of the largest privately held staffing agencies in the US. 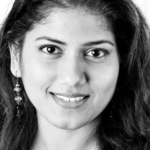 Noor is the Chief People Officer at N26 and an expert in scaling the organization while maintaining a high employee experience Noor has over 15 years of experience in international Human Resources, specifically building, scaling and transforming organizations. 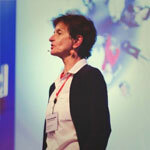 She is a speaker, coach and has a strategic approach in finding the best ways to contribute to organizational growth. Have a look at Noor’s articles. One of the original tech-heads, Ivan earned his stripes at Microsoft managing localization projects in the ’90s. This born recruiter went on to lead several successful startups in the online-recruitment space while becoming known for his quippy social-media presence as the “Irish Recruiter”. Whether it’s blogging on the latest HR trend, or trying out the newest tech, Ivan’s entrepreneurial spirit drives him to optimize the talent search for recruiters the world over. Read Ivan’s articles on recruitment. Manjuri heads the technology talent acquisition team for Europe’s Leading eCommerce platform Zalando SE. 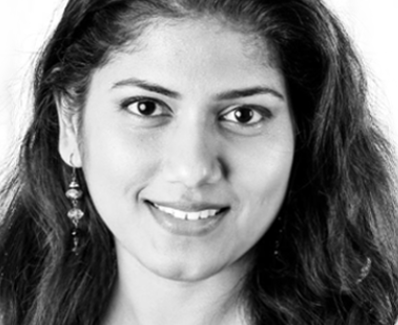 She possesses international experience in Tech business Partnering and Talent Acquisition for mid to large organizations and has worked and lived in India, Czech Republic and Germany. Being an avid traveler, she also wears a dual hat of a speaker, mentor and a blogger. Read Manjuri’s content on employee happiness. 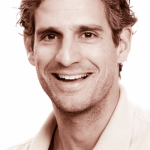 Andres Traslavina is director of recruiting at WFM Careers & Wholesfood. Andres is very well-connected in recruiting circles and is very adept at leveraging a variety of online tools to find, attract and recruit the best talent available. Andres is a speaker, recruitment leader and a mentor. 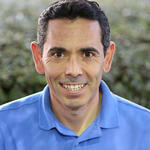 Andres provides most insightful updates on recruiting through his articles. Have a look! Richard Cho has expertise in building diverse workforce, hiring, employment branding, recruiting operations and analytics, compensation analysis, stock administration, market analysis, recruiting systems (ats, sourcing tools, on-boarding). Senior Recruiting Executive with broad industry background. Richard Has a successful track record of growing companies from 100's to 1000's in a short period of time. 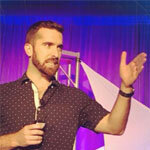 Richard was speaker at The National Tech Recruiting Conference & Talent42. 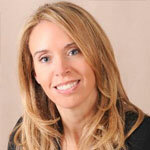 Sheila Stygar is VP, Global talent at PesiCo. She has the expertise in building global talent strategies to attract, hire & retain the best team. Stygar has the ability to cut through complex issues, identifying the root cause and partners to develop pragmatic solutions. 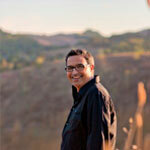 Robindro Ullah is an author, speaker and moderator. He is currently stands for innovations in the context of HR with a focus on recruitment. Robindro has been working in the area of recruiting for 8 years now and can look back on the entire range of three topics: employer branding, HR marketing and recruiting. He is awarded by HR Alliance Award 2009, SMP Innovator Award 2012, HR Excellence Award 2012, SMP Innovator Prize 2013 and HR Excellence Award 2014. 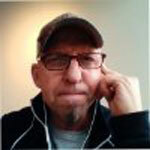 Read Robindro’s blogs at HR Mind. Piret is a Group Head of Talent Acquisition at 4finance group, one of the leading consumer lending businesses in the world, building the Talent acquisition function. 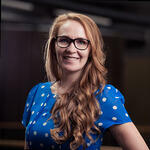 She is also the founder of the Estonian event series Recruitment Thursday. Recruitment is not just a job. It is a lifestyle and a passion for her. Piret is driven by a desire to make the hiring process better for everyone, especially candidates! 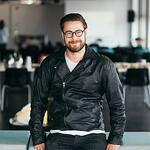 Head of International Talent Acquisition at Nortal. 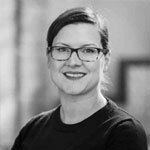 Elke is a Director Talent Acquisition at Microsoft and responsible for the hiring done in the 100+ countries of the EMEA region and covering all businesses from Sales, Marketing, Services to Engineering and Corporate Functions. 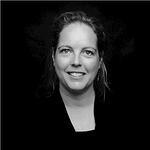 Prior to this role Elke was the HR Director for Microsoft Belgium and the Talent Acquisition lead for West Europe. Before Microsoft, Elke had an extensive career in the consulting business of Accenture. Director Talent Acquisition EMEA at Microsoft. Danielle is a strategic Human Resources Leader who can effectively partner with business and technical leaders to develop world-class people programs. Her specialties are human resources, succession planning and leadership development, staffing, sourcing, workforce planning, management and talent engagement, organizational efficiency, diversity, executive recruitment, technology utilization. Have a look at Danielle’s article on ‘Essential skills to rock the Recruiting Leader role. 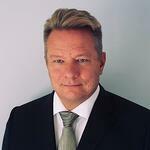 Tony is a Technical and Professional Recruiting Expert with experience in the areas of recruitment and selection, project & people management, interviewing, career development & training, vendor management, and recruitment technology assessment, implementation and management. 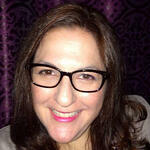 Julia Levy is a talent acquisition and recruiting leader. Her passion is to help people and find meaningful work. She is a coach, speaker and recruiting expert. Julia areas of expertise include, recruitment marketing, candidate experience, strategic planning, diversity strategies, workforce planning. 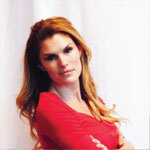 Conni LaDouceur is a talent sourcing expert. She consults to many of the world’s most admired companies and search firms as chief sourcing strategist, pursuing her passion for matching people and opportunities by blending art and science in sourcing. Conni has empowered talent acquisition and sourcing teams at PepsiCo, Microsoft, KPMG, Starbucks, MetLife, GlaxoSmithKline, Burger King Corp., Aon Hewitt, Lockheed Martin, TJX, Hershey’s, Wells Fargo, a leading RPO and at many conferences and recruiting summits the world over. Read Conni LaDouceur’s insightful articles on recruitment. Thomas Boyle has 20 years of experience in designing, implementing, supporting and marketing SaaS Talent Management solutions. 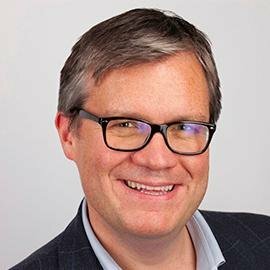 With a focus on talent acquisition and a passion for technology, he has consulted with hundreds of enterprise organizations to understand their unique business challenges and help to assemble the right process, technology and approach to achieve the results they are looking for. 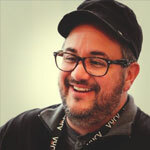 He has been a contributor to both industry and mainstream media outlets including Forbes, LinkedIn, and HCI, ERE, Mashable, Glamour, and HRBartender. Have a look at Thomas’s articles. Nissa is an experienced recruiting lead and former journalist, she has worked in a variety of roles spanning from news production to talent recruitment and development. Booker has recruitment experience with both legacy media and new media and have settled squarely in the heart of digital. Her expertise include editorial and production recruitment, implementing employee development and training programs, diversity strategy, mentoring program development and management. 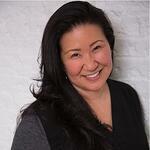 Susan lee is an executive-level professional with experience in all aspects of Human Resources. 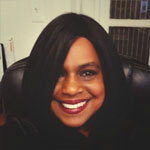 She is a talent leader with expertise in Organizational Planning & Development, Performance Evaluation, Management Training, Senior Leadership, Change Management, Employee Relations, Compensation Analysis, Recruiting & Retention, Diversity & Inclusion, Development & Integration of HR Programs & Policies, Culture-Building & Process Implementation. Results driven leader with diverse experience, strong leadership and communication skills. Jolen has a proven ability to help organizations develop business focused solutions addressing key needs in the areas of legal, human resources and diversity and inclusion. She has the ability to develop innovative yet pragmatic approaches to resolving complex issues as well as demonstrate commitment and passion for promoting talent with a particular emphasis on Diversity & Inclusion. Get valuable insights from Jolen’s articles. Neil is the Global Head of Recruitment, Operations & Technology at Dropbox; helping to lead teams developing and executing amazing People processes for a growing high tech firm that is expanding globally. Neil leads the teams delivering Recruitment, On boarding, HR data admin, Global Mobility, Contingent Workforce and People Analytics across 10 countries. If you find yourself in need of a second opinion, advice on a touchy subject, a community of other recruitment professionals to chat with, or simply the latest news in your industry, then be sure to check these people out. Add your favorite recruitment expert to the list! Every HR professional will have their favorite HR Experts/Diversity Leaders/Talent Leaders that they absolutely swear by. If your favorite HR Influencer is not on the list, do let us know in the comments section. We would be happy to add them! 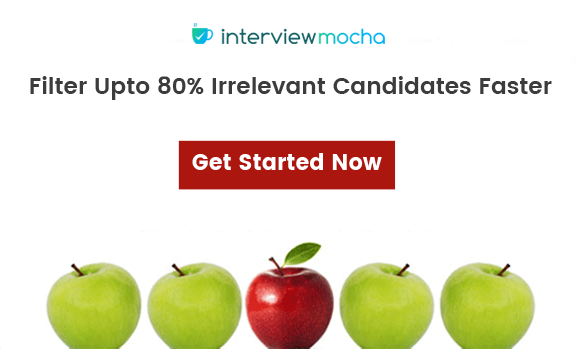 Interview Mocha is one of the best recruitment assessment tools for pre-employment skill testing. Interview Mocha aims to help you recruit better & faster. 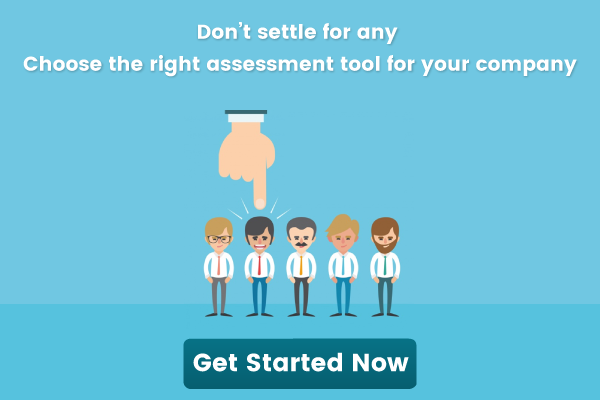 We provide 1000+ skills assessment tests for various industry domains from IT, Sales, Marketing, Database, ERP, Design, Engineering, AI, Business skills, Aptitude, Language & Communication, Finance, Software testing, software development & many more. Visit us & enjoy the world of happy skill testing!